A well-balanced and nourishing diet can give your body the required nutrients for optimum functioning. A typical Indian daily meal plan consists of dal, subzi, roti, salad and yogurt. Each food group provides the nutrition we need; however, yogurt is one such essential food that is an intrinsic part of almost every diet plan. Consumption of a bowlful of creamy, homemade yogurt can do wonders for your body. Not only is it eaten as is, but also made part of various Indian delicacies as well. Be it curries, raitas, kebabs or smoothies, yogurt can be used in the making of several delights. It is rich in magnesium, potassium, calcium, vitamin B-2 and vitamin B-12, which make it super nutritious. And not just this, it is also quite light on the stomach as it serves as a probiotic. Probiotic foods are foods that contain live bacteria. "The human intestines contain around 400 different species of bacteria, good and bad," notes the book 'Healing Foods' by DK Publishing House. This good bacterium is quite important for the proper functioning of the digestive system as it helps to improve gut activity. If you have been suffering from frequent bouts of acidity and bloating, then it is probably time to bring in some changes in your dietary pattern as it might be due to a leaky gut. Indigestion, irritable bowel syndrome (IBS) and even poor immunity are some of the common signs of a leaky gut. In order to keep the gut up and running, it's of utmost importance to include yogurt in the diet. According to 'Healing Foods', "Gut health is inseparable from the health of the rest of the body. 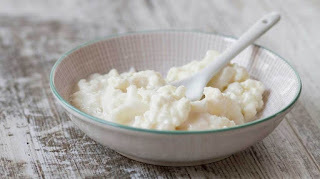 Live cultures in yoghurt can improve the microflora of the gut, which in turn helps ease symptoms of inflammatory bowel disease and lowers the incidence of ulcers." So, when you go for grocery shopping, look out for products that state specifically that yogurt is 'probiotic' or 'live'. The good bacteria helps in keeping things in balance, and also helps to turn organic acids into glucose. However, make sure that you consume it in moderation as the excess of anything can turn out to be bad for the body.